Unique multi-layer design provides high absorbency with high breathability to reduce the risk of maceration. 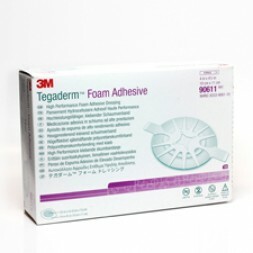 Adapts to changing levels of exudate to maintain moisture balance for optimal wound healing. Ideal for situations where increased securement or longer wear time is needed. Conformable for difficult body contours. Dressing does not stick to wound bed thereby minimising disruption of healing tissue. Provides a water resistant seal while dressing is intact. Allows for showering. Spoke delivery provides easy application. Film backing prevents strikethrough and protects against external bacteria and viruses.